For the foodies amongst us, the city of Birmingham provides numerous opportunities to fill our bellies. In particular, there are countless food trucks in the area. Each food truck offers specific, tasty food dishes. Let’s take a closer look at some of the best food trucks in Birmingham. In the mood for Mexican food with a twist? At Taco Tech, you can choose from delicious tacos, quesadillas, fajitas, and much more. A popular appetizer, the Avocado Bomb, comes with crab meat, spicy tuna, and wakame salad wrapped in avocado and topped with tobiko, spicy mayo, sriracha, and unagi sauce. Don’t get too full on appetizers because you’ll want to try other signature dishes such as the spicy tuna taco or the jerk chicken taco. For those in the mood for seafood, you’ll definitely enjoy Snapper Grabber’s Coastal Kitchen. Offering fresh food from both the land and sea, Snapper Grabber’s Coastal Kitchen is the perfect place to go when your friends can’t decide where or what to eat. Here, you have the choice of seafood, burgers, sandwiches, and more. Some of the popular seafood dishes include the Bama Big Cat, Baja Shrimp Tacos, Shrimp Po’boy, and more. At Slice Stone Pizza & Brewhouse, you can choose from a wide array of pizza choices. What makes these pizzas stand out? The ingredients and the creativeness, of course! For veggie lovers, you’ll want to try the Very Veggie pizza. From the Perfect Pepperoni to the Super Cheese, you and your friends will not only enjoy the different pizzas but the beer options as well. If you’re in the mood for dessert, be sure to check out Big Spoon Creamery. With flavors changing seasonally, you can keep coming back to Big Spoon Creamery for new and exciting treats. Popular summer flavors include peach buttermilk and brambleberry cobbler. As for their goat cheese ice cream, you might be skeptical at first. However, once you take a bite, you’ll know you made the right choice. 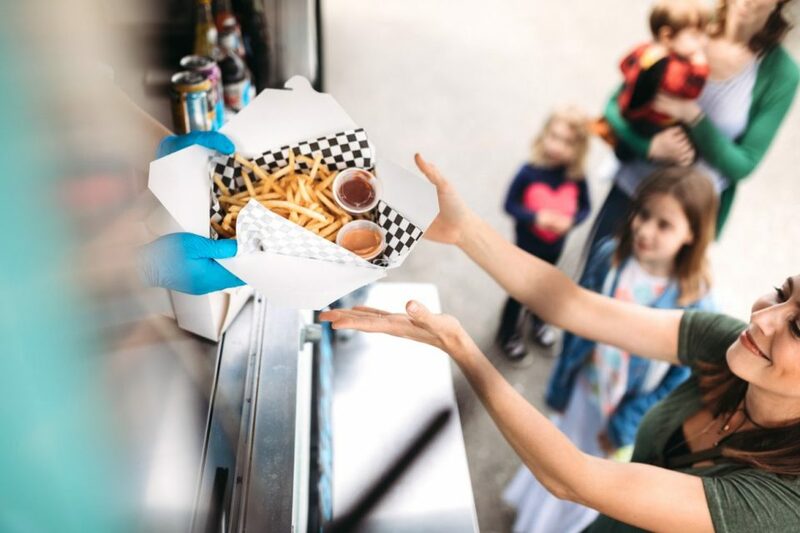 When your belly is full from trying all the tasty food at various food trucks, stop by our dealership. At Long Lewis Ford Lincoln, we provide a large selection of new and pre-owned vehicles. You’re certain to find something you love when you visit us. We are conveniently located at 2551 John Hawkins Parkway, Hoover, AL 35244. Our trusted team members look forward to showing you around our dealership and filling you in on all of our specials. Once you’re here, you can take a test drive. After all, there’s no better way to get aquatinted with your dream vehicle. Come see us!